Night Angel – Bed Side Mode v1.0 – Night Angel is an application that turns your BlackBerry® into Bedside Clock Mode. 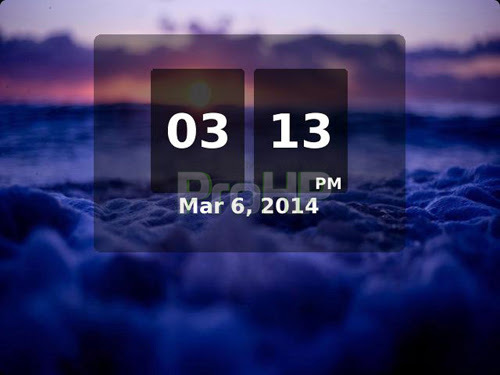 Gorgeous Clock Screen and the beautiful Clock Background, enhances the beauty of your device. Hence, get rid of the boring Black and White clock screen and try something new. 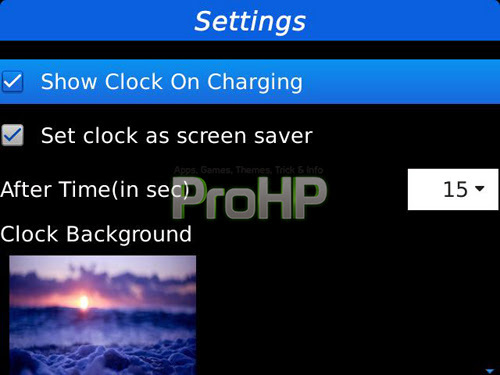 You can also set the beautiful clock screen as Screen saver or the Charging time Screen saver. Night angel also turns the device into silent mode. Hence, there will be no interruption from the annoying calls or messages at the late night. The feature of White-list number ensures that none of the important call is missed. Hence, allows you to sleep peacefully. Automatic Time slot lets you activate the Bedside clock mode automatically for the specified time period. Also you can set an alarm to wake you up. The Wake Me up feature, ensure that you are out of your bed by the time you wish to be awaken. It works on the normal psychological concept and show simple mathematical equations to solve in order seize the alarm. Therefore, if you have a meeting for the next morning, Wake Me Up will ensure that you don’t get late just sleeping in your bed.